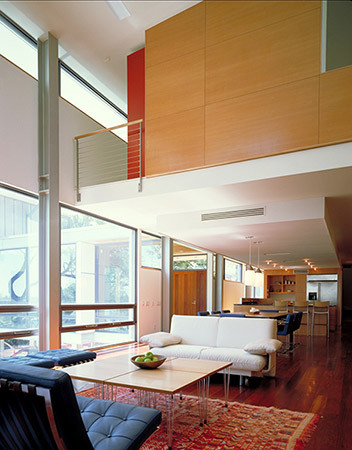 The program brief for this family vacation house included combining kitchen, dining, and living spaces into an open plan to allow for entertaining, creating a master bedroom suite incorporating a painting studio and porch, and providing two additional bedrooms and a space to serve as both family room and guest room. 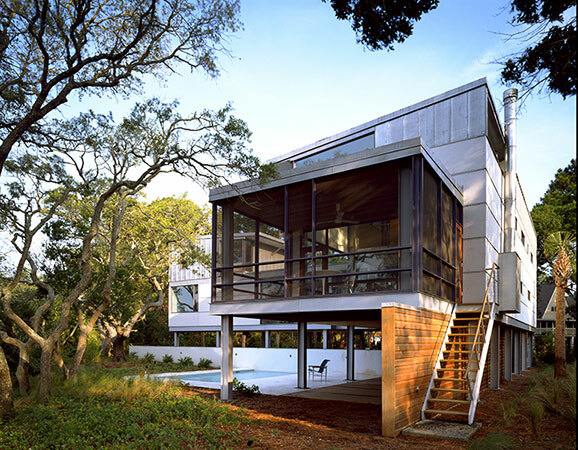 The owner, a Savannah native, wanted the house to withstand the harsh oceanside conditions of its environment with minimal exterior maintenance. 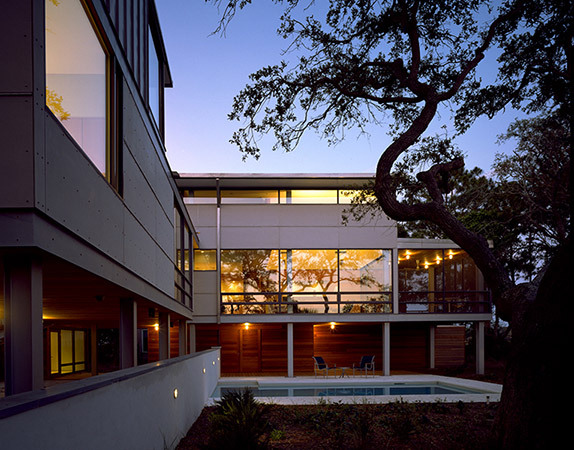 Flood-zone regulations mandated the house be raised at least six feet off the ground. 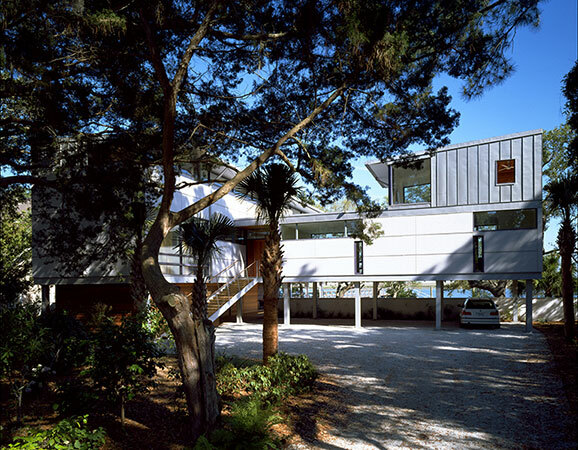 The client’s requirements for parking, generous patio space, and a pool were accommodated on the tight lot by raising the house an additional two feet. 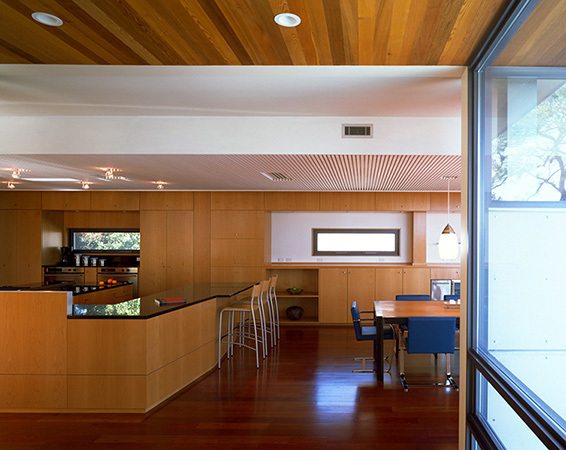 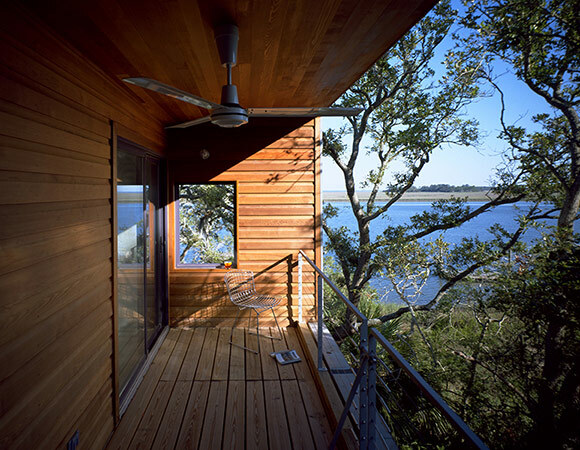 Thus elevated, the house sits within a canopy of shade trees for privacy, while the spaces below frame views of the marsh and ocean to form a sheltered breezeway.